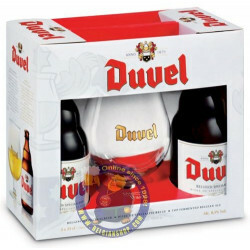 DUVEL TRIPEL HOP 6 BLENDS-TASTING PACK - delivery worldwide - discount following quantities purchased. Ben R. from Darlington, WA bought this product recently. Ever since 2007, the Duvel brewers have been working creatively to give Duvel some extra punch and add a little more bitterness with a third, additional hop variety. Their efforts have surprised us, year after year, and even earned us a number of much-valued medals in both national and international beer contests. 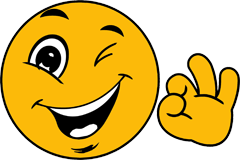 But NOW it's up to you to tell us which is the best Tripel Hop of them all. A Duvel Tripel Hop is at its best when you drink it in perfect conditions. 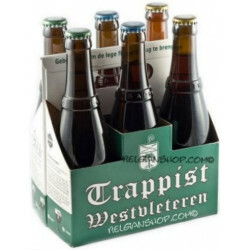 Buy a Tripel Hop six-pack and chill them to a temperature of about 5°C. 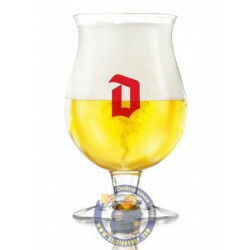 Slowly pour every blend in a clean, dry Duvel glass at room temperature. 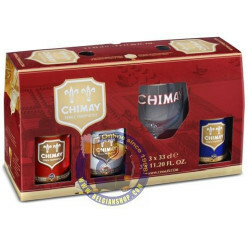 Taste the beer, enjoy it and compare it with the others. Have you chosen your top 3? . AMARILLO: in 2007, Amarillo was still relatively unknown but since then this hop variety has become one of the best-known and most requested hops in the craft beer world. This Duvel Tripel Hop has a pronounced fruity flavor with notes of grapefruit, orange, lemon, melon, apricot and peach. the aromatic Amarillo hop produces a delightful bitterness. This is wild, real rock ‘n roll in a glass. CITRA is is our award-winning blend. The Duvel Tripel Hop of 2012 won a gold medal at the Brussels Beer Challenge and the consumer trophy at the Zythos Beer Festival. The Citra hops add crisp notes of grapefruit, lime, tropical fruit, melon and cassis to the typical Duvel range of flavors. A blend that proved to be very popular. Citra is an explosive hop with an in-your-face flavor of citrusy notes that blend well with Duvel. SORACHI ACE is a hop variety of Japanese origin! These hops impart a fresh, exotic and slightly fruity note of lime, lemon and dill. You might even discern a slight hint of mint. Once you let go of the classic Duvel flavor and taste Sorachi Ace you find yourself on a flavor adventure with a very exotic end destination. MOSAIC is a one of a kind hop variety as a result of the unique combination of strong aromas and its bittering value. The fruity aroma of blueberries, citrus and other fruit (papaya and apple blossom) adds a complex yet fresh note to Duvel Tripel Hop beer. Perfect for a toast in the spring sun. The 2014 Duvel Tripel Hop is made up of a mosaic of flavors. The crisp citrus alternates with subtle hints of blackcurrant. This diversity suits my philosophy of experimentation to a tee. EQUINOX: until April 2014, this experimental hop variety went by the name of HBC 366. Its current name refers to the hops’ physical characteristics: vibrant yellow as the plant bursts out of the soil and deep green as it matures. 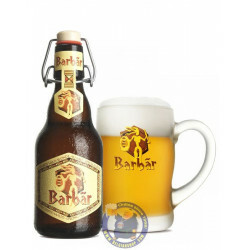 The aroma is fruity, with a combination of lemon, lime, papaya and apple. The light note of green pepper gives some extra punch. The Equinox hop created the spiciest Duvel Tripel Hop ever, with notes of pink and black pepper. The complex flavors come together in a robust, bitter beer with a strong personality. HBC291: this year, Duvel has chosen a radically different, bold and innovative approach: we selected a very experimental hop variety, which currently is only known as HBC291. These hops combine the fiery taste of black pepper with the milder aromas of roses and lavender and a light citrusy note. Anyone up for this challenge? The HBC 291 is consistent with a philosophy of experimentation. The hop strikes a perfect balance between fresh and bitter. This reminds me of spring, of the season of hop shoots.